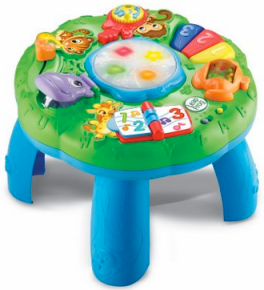 Head over to Amazon and get the LeapFrog Animal Adventure Learning Table for just $19.99 (reg. $44.99)! This is the lowest price we have seen and would be a great baby shower or first birthday gift. Super Saver Shipping will be FREE or get FREE 2-day shipping with Amazon Prime.